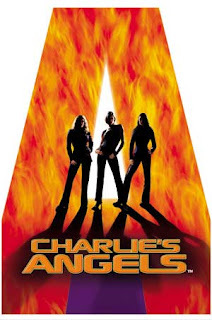 Movie Segments to Assess Grammar Goals: Charlie's Angels: "Superlatives"
The TV series used to be one of my favorites when I was a teen, but the movie was disappointing. However, it was a huge blockbuster. Comparing the Angels is fun - and the scene is great! describe the following characters and write them under the characters' pictures. (Adventurous) – Alex is the most adventurous of all. (Funny) – Dylan is the funniest of all. Hey Claudio. This is Fábio . I attended your workshop at Acbeu today. This is a very nice activity for elementary levels. You are definetely very sensitive and have developed this Grammar Eyes. Hope some day I can get this expertise. Thank you very much for sharing with us English teachers all this wonderful material that you have been preparing. It was really worthwhile attending your lecture today. By the way, Is it possible to download the videos? If so,how can I do that? Wish you a love of joy and peace and a nice return to the Candango City!!!! Thanks, Fabio. It was a real pleasure to presnt in Salvador. I'm glad you like the activity. To download the videos, you must have real player. You can download the free version at www.tealplayer.com, install it and then all you'll have to do is scroll the mouse over the segment screen and you'll be offered the choice to download it. Just like in youtube. I hope it works. See you.